I am Gabrielle Grafrath, and I'm a stay-at-home, homeschooling mother of four girls. My adventure truly began when I started volunteering to help with theatre productions my children were in. It was then I fell in love with costuming, puppets, and problem solving. I love seeing a need and filling it. Getting special requests on projects are always a joy for me to tackle. 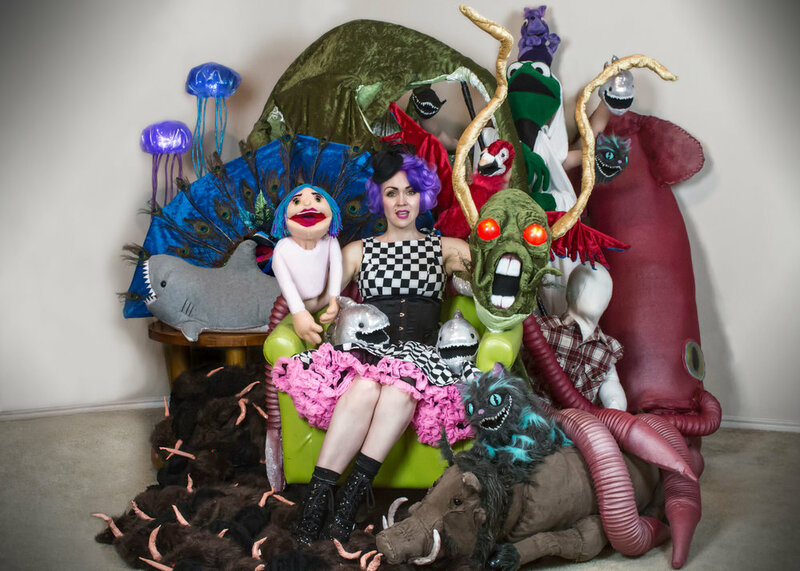 I specialize in puppet, costume, and theatrical art creation. I also paint on unconventional items, like Converse or used pointe shoes. If you're interested in renting my puppetry creations, need some puppets created, or have a specific "artistic" need, please send me a message via the contact page or email.